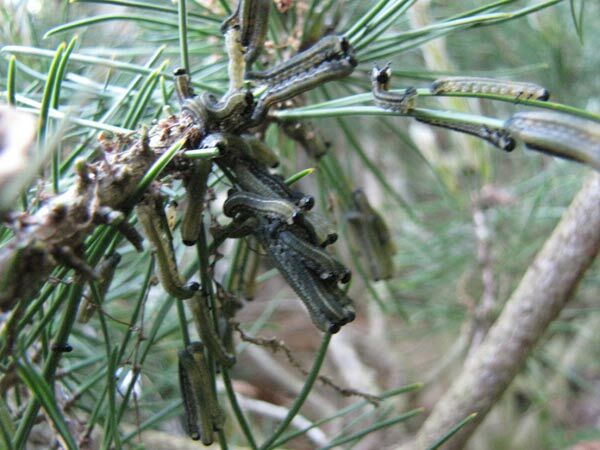 The European Pine Sawfly is not really a caterpillar - it is technically a larvae. It sure looks like a caterpillar though! Known as Neodiprion sertifer, this grows up into a non-stinging wasp. It has a black head, and a grey body with black and white stripes on it. 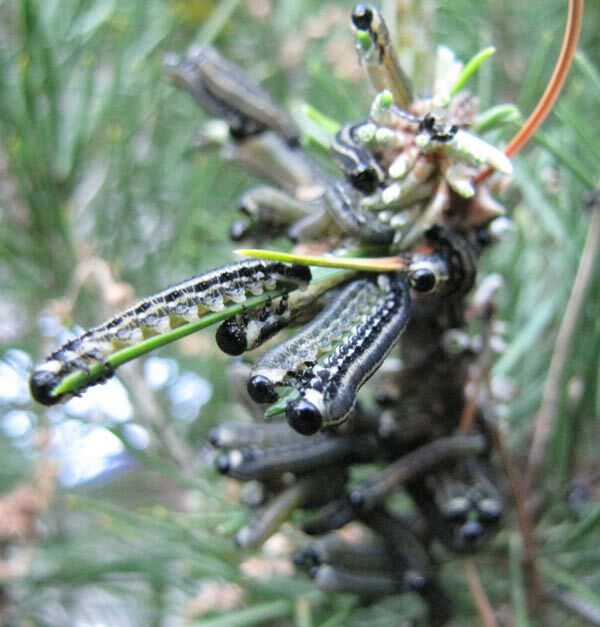 These larvae clump on the ends of ornamental pines. We first spotted these in mid-May 2010 at only two spots on an ornamental pine in our back yard. Just two distinct spot! 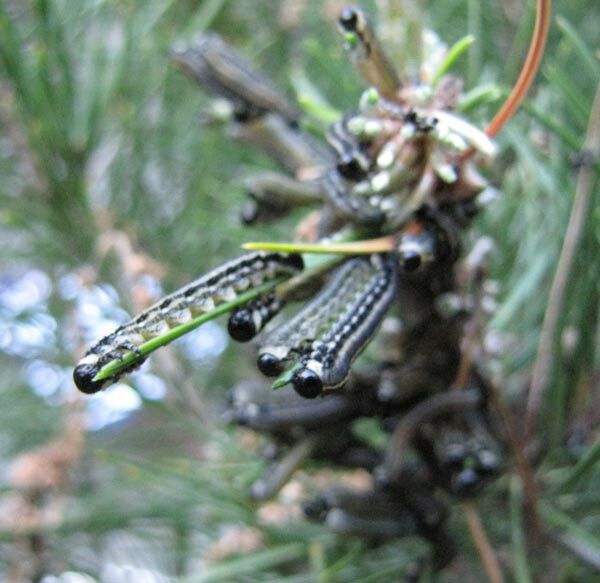 Each spot had a mass of larvae but they fit so neatly against the pine tree that you could barely see them. We just snipped off those two branches and put them into the deep back yard. Problem solved. 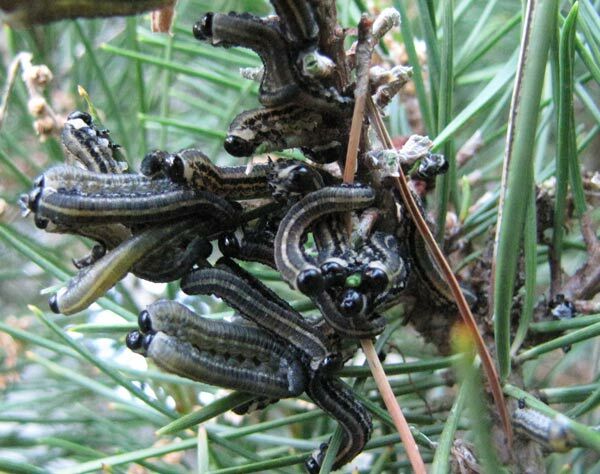 Apparently they only eat old growth, so they don't kill a tree, They just eat away at the old needles. Plus since they stay in clumps they don't tend to take on the whole tree. Still, better not to give them a free lunch. It's not like you really want wasps (even non-stinging ones) hanging around you.